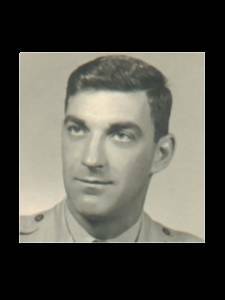 Air Force Colonel Elton L. Perrine of Pittsford, New York, was buried last week at Arlington National Cemetery near Washington, D.C.
On May 22, 1967, Perrine and Captain Kenneth F. Backus completed a nighttime strike against the Cao Nung Railroad Yard near the town of Kep in North Vietnam. Seconds after the bomb run, a nearby aircrew reported seeing an isolated explosion approximately three miles east of the target, thought to be Perrine's F-4C Phantom aircraft crashing. Search and rescue attempts were not initiated due to heavy anti-aircraft fire in the area. About 1,720 military personnel are still missing in action in Vietnam 35 years after the United States left the country. But the list is getting shorter. On Monday, a former MIA from Pittsford was laid to rest at Arlington National Cemetery. Air Force Colonel Elton Lawrence Perrine's family, friends and schoolmates knew him as Larry. Ninety of them came from up and down the East Coast for his funeral service at an interfaith chapel at Fort Myer followed by a burial with full military honors. "You all probably have more memories of my dad than I do," Mary Malamatos said during the eulogy at the Old Post Chapel, an intimate space with a dozen rows of pews on each side and a white interior softened by elaborate stained glass windows showing scenes from the New Testament. Malamatos described her mother, Joyce Perrine, as courageous for "raising a little girl all by herself." She said it wasn't until she was married and had children of her own that she missed growing up without a dad. Malamatos and her sister, Katherine Holland, live in Tennessee. Their mother lives in Clearwater, Florida. Air Force Chaplain Captain Anthony Wade noted that on Memorial Day next Monday, the nation will honor its war dead who, in the words of President Abraham Lincoln, gave their "last full measure," just as Perrine did. Malamatos thanked the military for the extraordinary effort to excavate and identify her father's remains. Perrine is the fifth of 12 Vietnam War MIAs from the Monroe County area whose remains have been recovered, according to Joseph Peck, who chairs the POW/MIA unit of the local Vietnam Veterans of America chapter. "New technologies are coming out, and coordination with the Vietnamese government is helping to recover these bodies," Peck said. Gary Jones, who chairs the MIA/POW committee for the national Vietnam Veterans of America, said the Vietnamese government also is receiving help from the U.S. in identifying 300,000 of their citizens still missing. "It goes up and down and progresses each year," Jones said. "Those who were easy to find were identified fairly early." The site where Perrine's Phantom jet crashed in Nam Dinh was found in July 2007. His remains were identified through DNA analysis on December 7 of last year. Monday's service featured a horse-drawn caisson and a flyover by an Air Force C-17 cargo plane. Family and friends boarded two Air Force buses for the trip from the chapel to the gravesite. One family member — Perrine's mother, Sarah Perrine of Branchport, now in her 90s — followed behind the caisson in a wheelchair guided by her grandson, Lee Levesque. As the coffin arrived at its final destination, a black and white POW/MIA flag inscribed with the motto "You Are Not Forgotten" flapped in a brisk breeze a few feet away. Source: Compiled by Homecoming II Project 30 June 1990 from one or more of the following: raw data from U.S. Government agency sources, correspondence with POW/MIA families, published sources, interviews. Updated by the P.O.W. NETWORK 2010. First Lieutenant Kenneth F. Backus and Captain Elton L. Perrine were F4 pilots assigned a combat mission over North Vietnam on May 22, 1967. At a point near the city of Nam Dinh, their F4C aircraft was struck by enemy fire and crashed. Because of the probability that both men safely ejected from the crippled aircraft, they were both classified Missing in Action. Who was piloting and who was co-pilot remained a myystery until 2005. Defense Department records indicate that both Backus and Perrine were pilots. Usually, one is coded as the rearseater and the other is coded as the pilot. During a conversation in Washington DC in May 2005, former POW Dave Gray stated Ken Backus was the backseater on this flight. still alive and held captive in Southeast Asia, yet the government seems unable or unwilling to successfully achieve their release. Policy statements indicate that "conclusive proof" is not available, but when it is, the government will act. Detractors state that proof is in hand, but the will to act does not exist. Henry Kissinger has said that the problem of unrecoverable Prisoners is an "unfortunate" byproduct of limited political engagements. This does not seem to be consistent with the high value we, as a nation, place on individual human lives. Men like Perrine and Backus, who went to Vietnam because their country asked it of them, are too precious to the future of this nation to write them off as expendable. During the period they were maintained missing, Elton L. Perrine was promoted to the rank of Colonel and Kenneth F. Backus was promoted to the rank of Captain.